Whether you’re a first time buyer or a growing family looking for a bigger home, buying a property is a big decision. 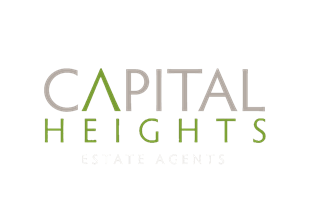 At Capital Heights, we use our expertise to make the purchase of your property as smooth and easy as possible. As a small, independent agency, we value all our clients and will give you personalized attention. We’ll take you through the buying process step by step, and make sure you never feel uncomfortable asking questions. Need recommendations for a mortgage provider or solicitor? We have relationships with local surveyors and solicitors who we have worked with before and know can do the job well. We can even arrange plumbers, electricians, or handymen if you need some help getting your new home ready to move in. Unsure what to expect? Check out our Step by Step Guide to Buying a property. Purchasing a property is an exciting step, and our aim is to make sure you have the best possible experience while doing so. We have a broad range of properties for sale right now, and more coming on the market every week. Call or email us today, and find out why we’re recommended by our clients.